The market share of mobile gaming is now more than half of all global gaming revenues, rising from 46% of the pie in 2017 to 51% this year. By 2021, that’s currently projected to rise to almost 60%. As Android dominates iOS when it comes to platform market share and benefits from a larger loyalty rate, as a portion of that market, 78% of the global mobile community are Android gamers, who can be worth as much as eight times that of an iOS gamer in some countries. So what is it that’s generating the boom in Android video game activity? The advent of the smartphone came in around a decade ago, with 2008 the year that Android began following the release of the first iPhone in 2007. 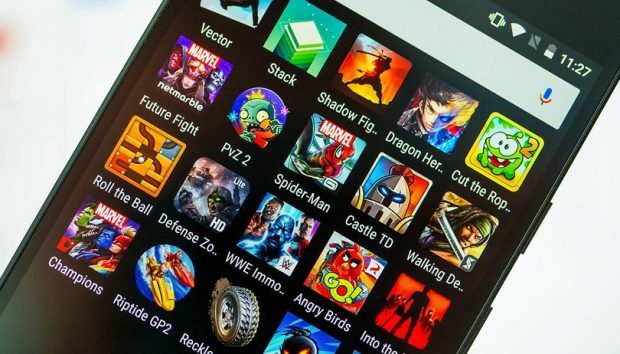 Ten years on, Android gaming is a titan in the phone entertainment category, where users can download pretty much any gaming title they want with the tap of a screen on their phone, or tablet. Consumers are constantly inundated with new releases and features, meaning there’s always a new game to try and repeat business is pretty much a sure-thing. The results are a gold mine for Google, Android’s developer. The average person’s mobile phone is no longer a tool to simply make and receive calls and texts, they are essentially handheld laptops, with tablets overgrown Android phones that provide a more laptop scale screen. People carry their phone on their person 24/7, 365. It’s getting to the point where phones are an extension of a person’s being, like an additional limb, that in the Western World at least the user can’t be without. We have reached digital dependency. Therein lies the answer as to how Android gaming has become the giant that it has – just how convenient is it to be able and download and play games like Starburst free Spins no deposit on a device that is always on your person? Console and PC games might still look better – for now – but they are becoming obsolete. Console games now make up only 25% of global gaming revenues, with PC gaming at 24%. A reported 62% of smartphone owners now install a new game within a week of upgrading their phone. Games now account for more than 43% of total time spent on a person’s phone. Once new technologies like AR and VR – of which there are some games available already – become synonymous with Android gaming, console and certainly PC gaming might suffer the same fate as CD and DVD players. Technology evolves fast and it’s only going to evolve faster, hence the projections of market share, which may even be a shade conservative.